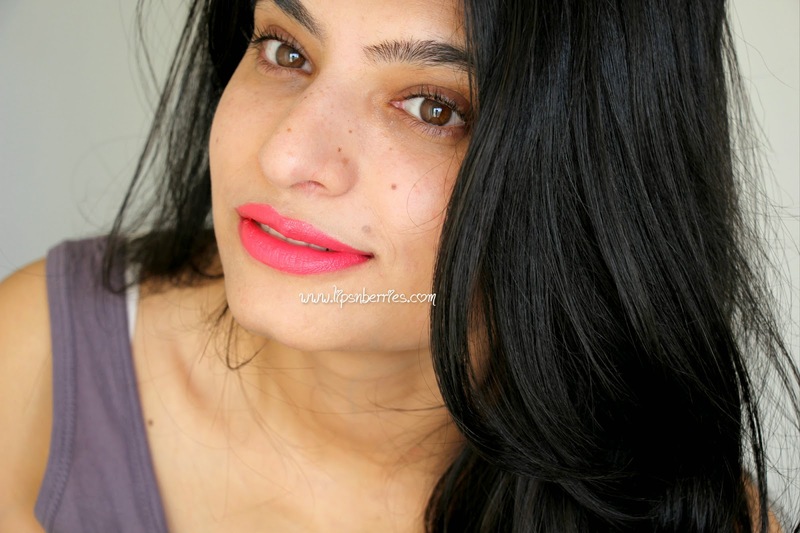 Maybelline Color Sensational Vivid lipstick in 'Shocking Coral' ! A MAC Impassioned dupe? Review + Swatches! | LIPS n BERRIES! This has to be the quickest blogpost I've ever done! Impromptu is the word! I always have a blog schedule thing going on for coming 2 weeks - which post would go live when (just schedule, no content... haha!) and this lipstick wasn't even on the list. How did it make it? Endorphin's... Confused much? I had mood swings the other day. PMS! Mine's pretty crap. I cry for no reason & throw tantrums. Blame it all on stupid hormones. Anyways slip slap slop sunscreen & I drag myself out for a run with Sunshine- A glorious spring day in Auckland. Had a good half hour run. All charged up with Endorphin's, my mood is at its peak best, music's on. I open my lipstick drawer (God knows why!) & look for one I've never worn before (there are many!!). The neon packaging catches my eye. Hello Mirror... One coat... Whoaa!! 2 coats... almost slapped myself for ignoring this lipstick for over an year. Totally shocked!! How & why is it so beautiful? No makeup, piles of sunscreen, complimentary white cast face, chapped lips, bushy brows & a neon coral lipstick. #lemmetakeaselfiefirst. Few selfies later- A blog post! 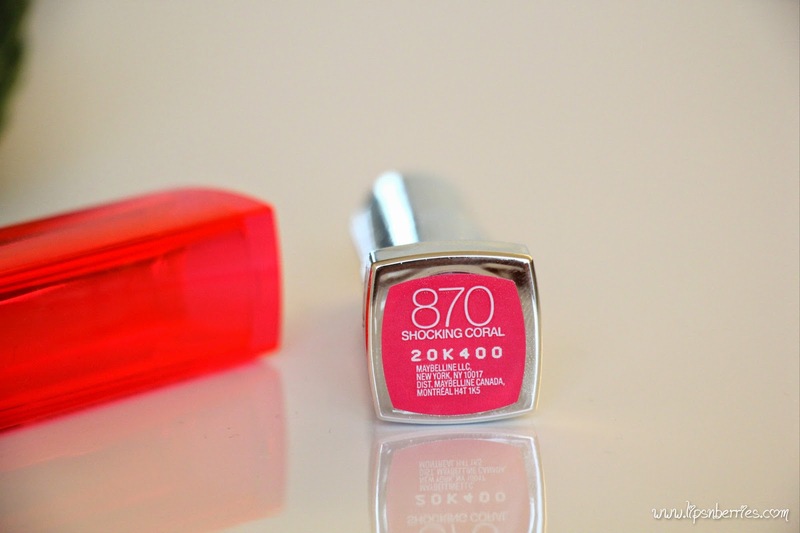 This is Maybelline Color Sensational Vivids lipstick in '870 Socking Coral'. The most beautiful neon coral with strong hints of pink! When the color is so unique n pretty, I don't even care about how well it wears... Would you? - 'Shocking Coral' is neon coral. Almost impossible to capture the shade on lens. It either comes out too pink or too coral but it's actually neon pinkish coral. - Full coverage. Opaque on lips. 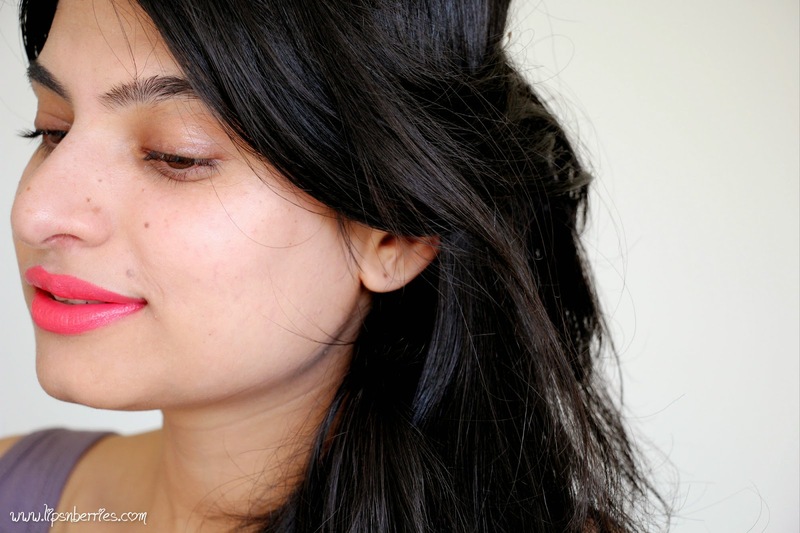 - Moisturizing lipstick with a super glossy look. 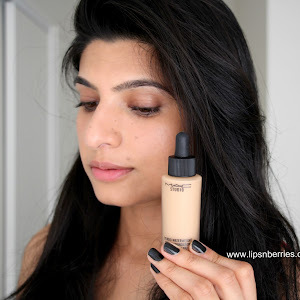 - Looks absolutely divine on my MAC NC 30-35 warm skin tone. I can definitely see it working for so many different skin tones. Would show up differently on everyone though. - Smells vanilla like, no taste. - It applies a bit patchy when layered up too much. I went berserk and swiped good 6-7 times and it ended up patchy. So over application isn't a good idea. - Stays on for about 5-6 hours. Leaves a pink stain behind. 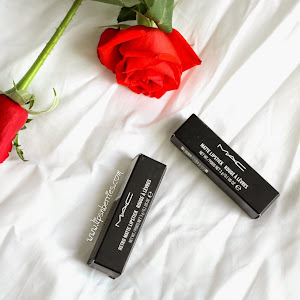 - This is actually a very good dupe for MAC Impassioned (which was my first MAC lipstick btw. Review here). 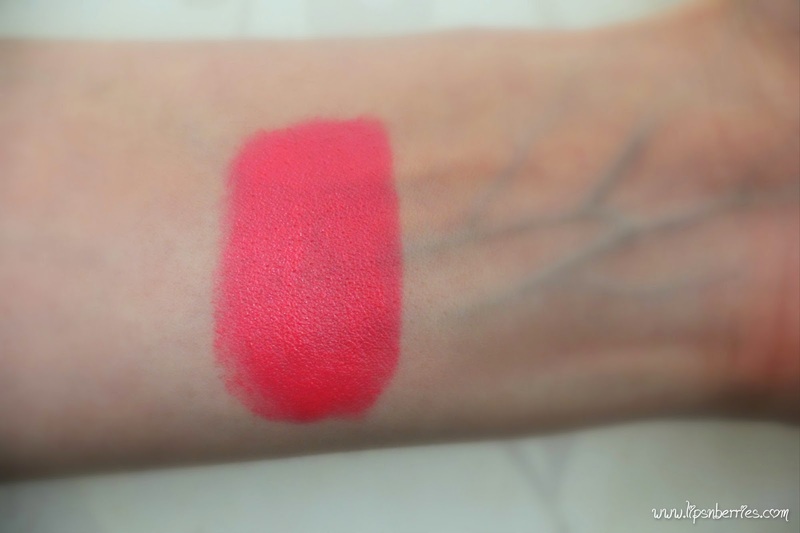 As you can see in the swatches, Impassioned is a bit more pinkier and intense. Shocking Coral has some coral hues. The texture of both is similar as Impassioned is an Amplified Creme finish i.e. moisturizing and buttery. 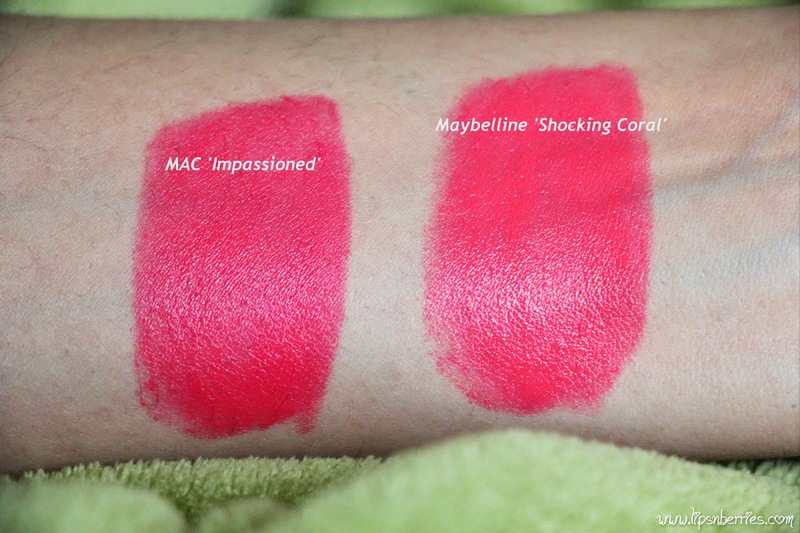 If Impassioned has been on your wishlist, Shocking Coral is a good pick for fraction of the price. Verdict: Maybelline's Vivid range is actually quite good for the price you pay for it. 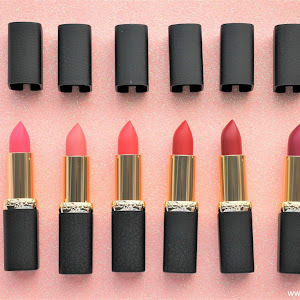 For a drugstore lipstick, the formula is beyond expectations. 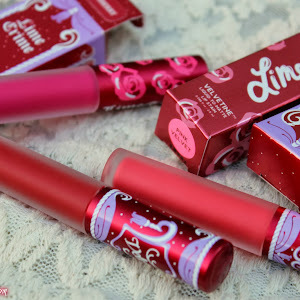 Its rich, full coverage, moisturizing, long wearing and comfortable on lips. 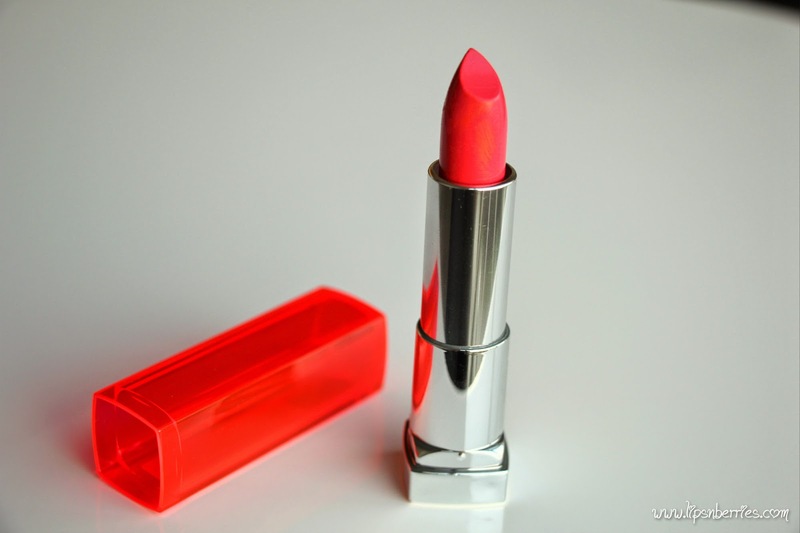 Shocking Coral is a beautiful neon coral with hints of pink. Beware the color can come out different on different skin tones though. It's a great summery shade nevertheless! 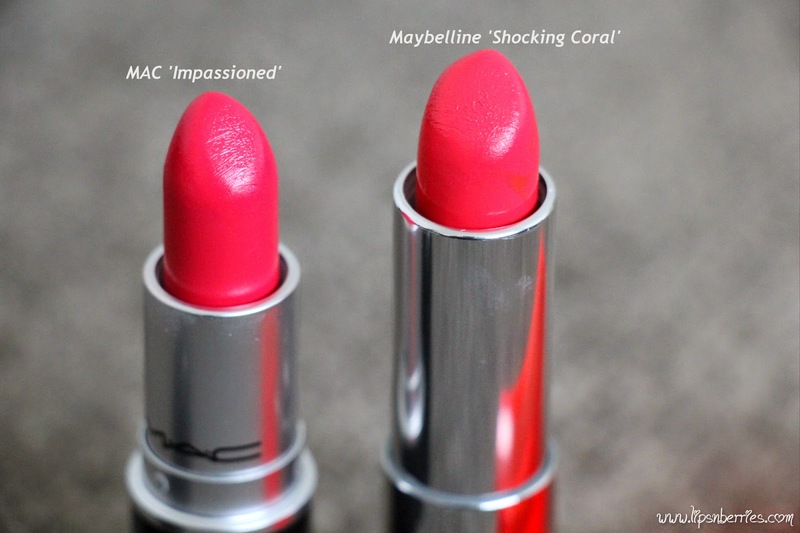 'Shocking Coral' is actually a good dupe for MAC lipstick in 'Impassioned'- both color and formula wise. My only gripe is that due to buttery texture, it tends to slip and feather on lips. A lip liner should fix that! Buy it From: Selected pharmacies and supermarkets NZ wide. Diwali tomorrow! Wohooo... Enjoy the food and festivities.